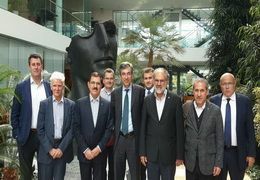 Officials from Iran's National Petrochemical Company (NPC) and Switzerland's Casale SA have met to discuss enhanced cooperation on petrochemical grounds. 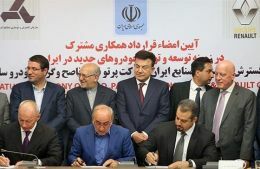 Executives of Italy's energy major Saipem have voiced the company's willingness to join petrochemical projects in Iran. 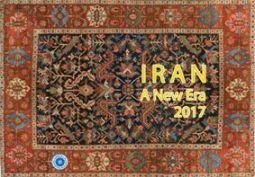 Iran Chamber of Commerce, Industries, Mines and Agriculture published an overview of Iran and its economic situation. This document provides brief but very useful information on Iran's industry and market in info-graphics language. 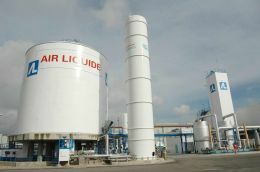 The Petrochemical Research and Technology Company of Iran signed a MOU with France's Air Liquide Engineering and Construction Co. on transferring state-of-the-art technology to convert methanol to propylene. 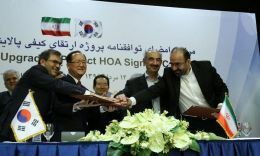 Iran and South Korea signed a heads of agreement (HOA) based on which South Korean banks will finance a €1.6 billion project to upgrade Tabriz Oil Refinery in northwest of Iran, Shana reported. The project will have a production capacity of 2 billion cubic feet per day or 400,000 barrels of oil equivalent per day including condensate. 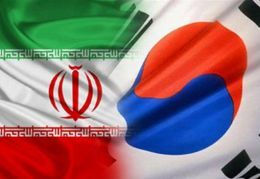 The produced gas will supply the Iranian domestic market starting in 2021, Total said in a statement.